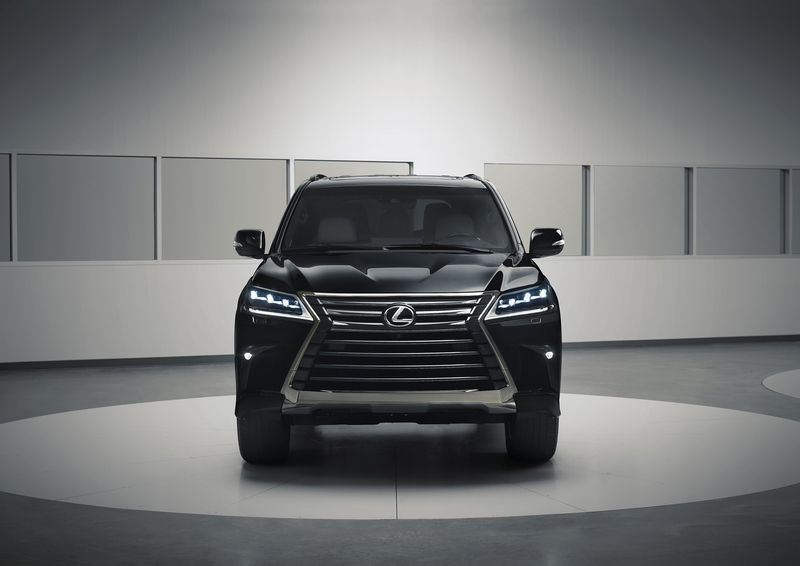 This is probably the most understated luxury SUV Lexus has ever made, which is exactly why it attracts so much attention. 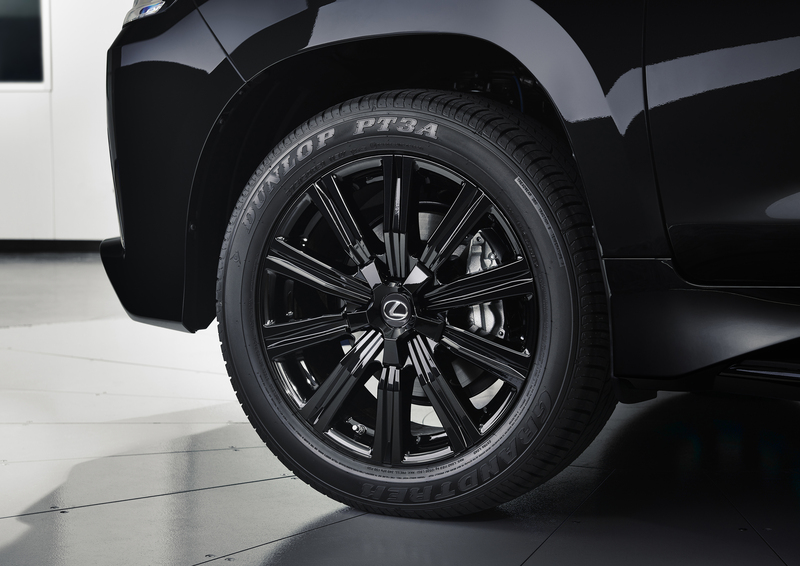 The Inspiration Series is a limited-edition LX 570 that features unique black exterior detailing matched with a white interior scheme trimmed in black to create the ultimate contrast. From the outside, the Inspiration Series is immediately recognizable by its black onyx body colour and its bespoke 21” black forged alloy wheels. Up front it gets a black chrome grille, black chrome exterior door handles and black bezel fog lamps. In addition, both the headlights and the taillights have been smoked to finish off the “black” scheme. 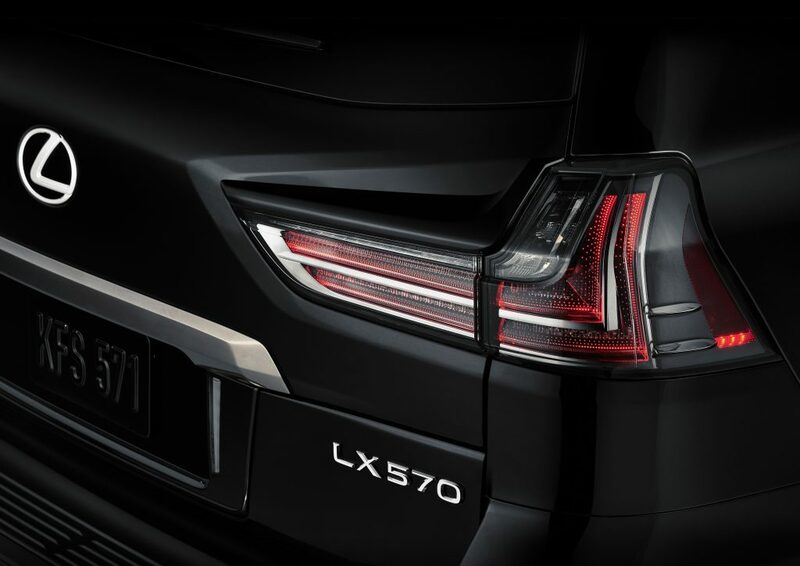 It looks sporty and aggressive, complementing the rather mean-looking fascia the current LX 570 is sporting. Lexus is known for excellent build quality and superb materials, and the LX 570 is no exception to this rule. 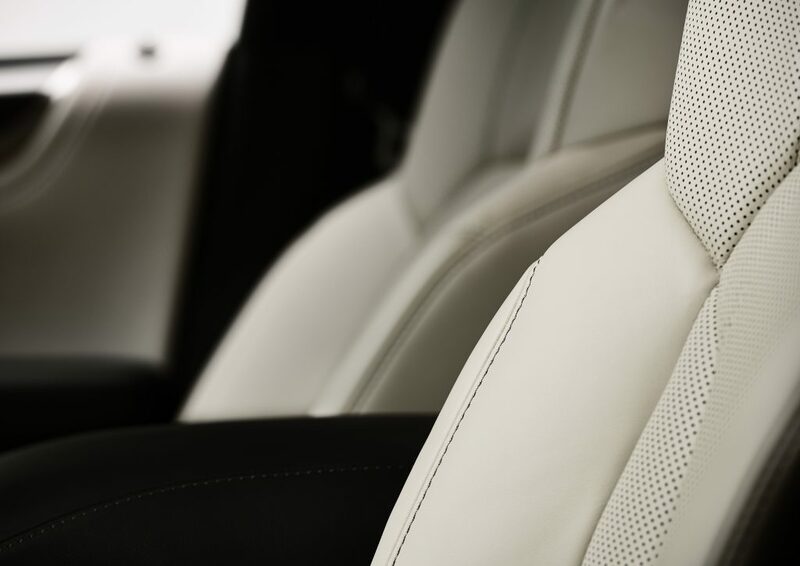 The fit and finish is second to none from the first moment you get in it, you can tell you’re in a premium vehicle. Everything you touch and everything you see feels genuine. You won’t find any cheap, hard plastics here. The front seats are both heated and ventilated, as are the second-row outboard position seats. The Inspiration Series only adds a black edition cargo mat and floor mats (it’s difficult to improve upon perfection if you’ve got it right the first time around). 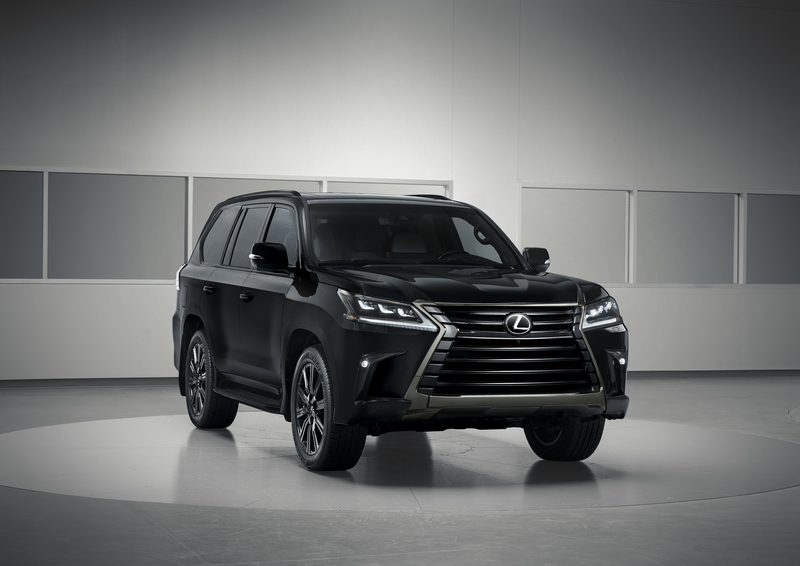 From a technology standpoint, the LX 570 is what you could call “loaded.” It features a three-zone independent climate control, a 19-speaker, 450-watt Mark Levinson Reference Surround System, Automatic Sound Levelizer system, Qi wireless charging, and Bluetooth connectivity, to name just a few of the technologies onboard. 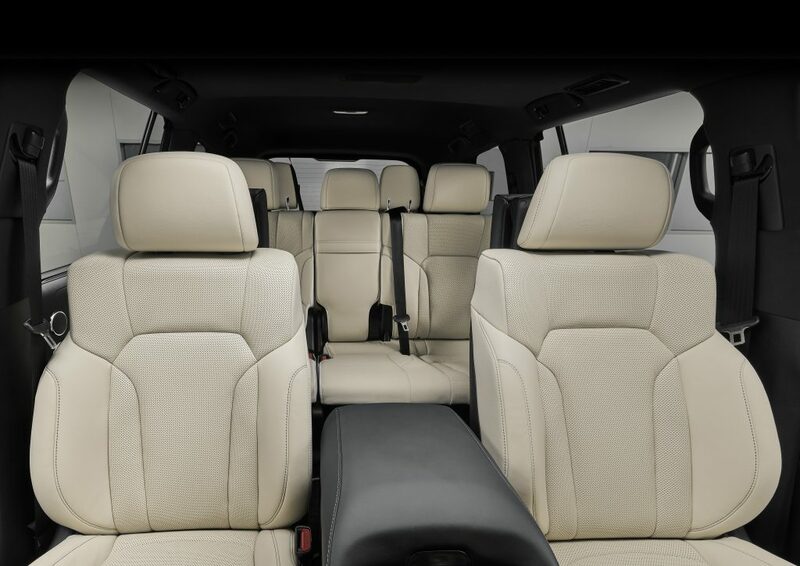 The LX 570 is powered by a 5.7-liter quad-cam V8 producing 383 horsepower and an earth-shattering 403 lb-ft of torque. The engine is a perfect match for the LX’s character. Most of the torque is delivered from idle in a lazy manner, so power is always accessible and you don’t have to rev the engine out. That mountain of torque is also responsible for a 3,175 kilogram tow limit, improved by the onboard Trailer Sway Control Brake System. The full-time 4WD system is enhanced with a sophisticated Active Traction Control system and power is sent to all four wheels via an eight-speed sequential shift electronically controlled transmission. The entire package feels perfect and all of the components complement each other. You won’t find a more complete package in terms of luxury, off-road capabilities and on-road manners. 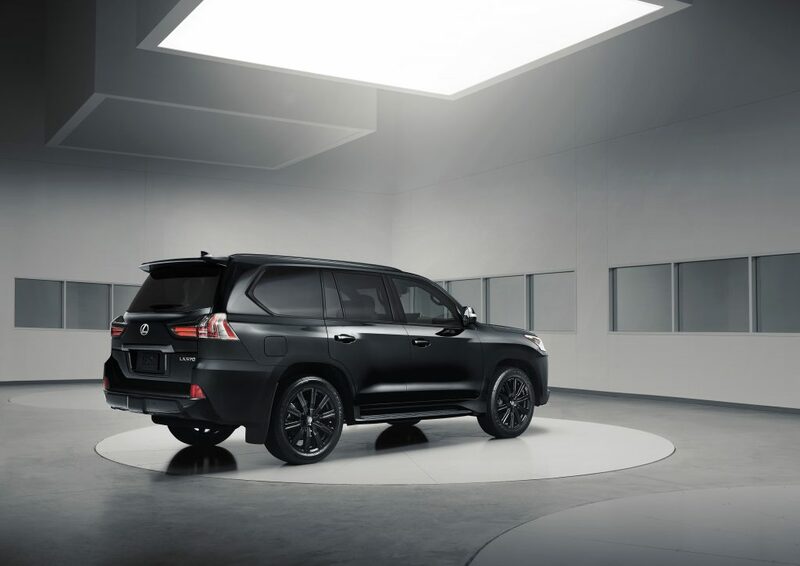 The LX 570 is the most versatile SUV to date, and the Inspiration Series is the icing on the cake.